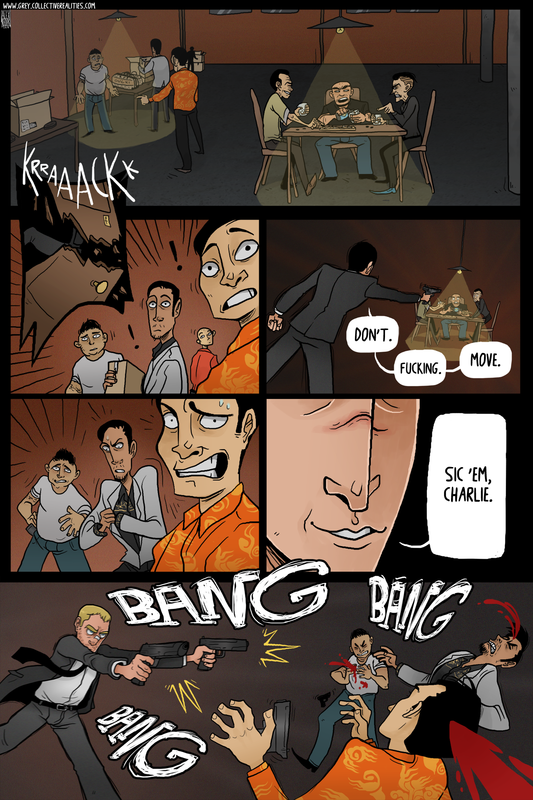 In case you forgot this comic was about assassins, here’s Charlie to remind you. By assassinating some people. Go Charlie! Also, I’m really enjoying the movement of the last panel. yes yes, I luv these two.